The Audio Technica AT2035 is the easy choice for anyone who wants the best bang for their buck in todays market. If you’re someone who wants a quick to-the-point review and are willing to do just a teeny-bit-more than plug-and-play we wholeheartedly say “Go for it!”. The AT2035 gives you a top notch clean sound with a lot of the bells and whistles you would expect to pay much more for. And if any mic deserved to be the top Microphone for Singing the AT2035 fits the bill. 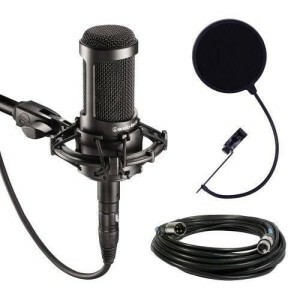 Included in this cardioid diaphragm condenser mic family is also the “value version” AT2020. No slouch in any department but the differences are worth noting. But first lets dive into what will make the AT2035 music to your ears. You know that ‘sounding good’ isn’t just good enough. The AT2035 was built from the ground up and designed to be used for home, professional, and studio application. It’s tremendous live as well. One of the top qualities of this cardioid studio condenser is it has extremely low noise with stellar detail. With a large frequency range and an equally large diaphragm it is perfectly suited for vocals. This means you can get as close as you need to or back off and get the quality of a professional setting. If you’re looking to do streaming or making youtube videos it’ll get the job done phenomenally. Singers and Vocalists can definitely apply! Audio Technica AT2035 Phantom Power. What is it? When we say phantom power we’re not talking about ghosts or goblins but it is a necessity with this microphone. The AT2035 is a XLR microphone, meaning you cant just ‘plug-n-play’ into your computer or laptop. There is a special piece of equipment called a USB Audio Interface that actually powers the microphone. But not only that it converts the signal from the attached cable into one that can be directly fed into your computer. It’s the feature that allows the AT2035 to excel. 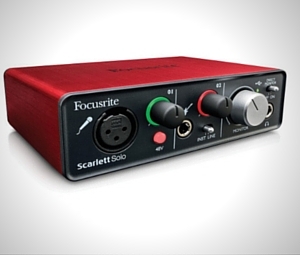 We prefer the Focusrite Scarlett Solo Compact as our USB audio interface for recording. It’s got a fantastic range and allows you to also plug in a guitar as well. It’s powered by USB so there is no need for a power supply either. It’s small enough and powerful enough to just grab-and-go. As we mentioned earlier the AT2035 is the ‘slightly older brother’ of the AT2020. And although there are some pretty significant differences ( Example: the AT2020 has a smaller diaphragm condenser than the AT2035. The larger the diaphragm condenser the better they are for vocals). 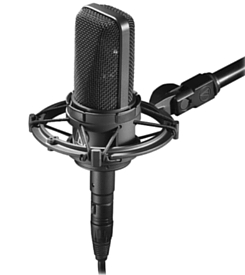 The AT2020 is a USB microphone, which offers the ease and simplicity of plug-and-play. Which means no audio interface is needed. Needs USB interface for Phantom Power. If you’re looking for the best sound in for the money and aren’t afraid of the extra step of adding phantom power the AT2035 will knock it out of the park. If you’re ready to hear absolutely every little color, tone and texture of your voice. Plan on recording other musical instruments. Interested in “straight to USB” compatibility. 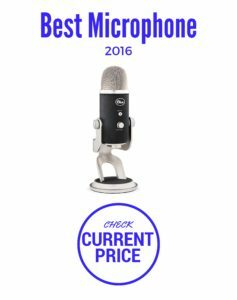 You can’t complain or go wrong with the AT 2035 if you’re looking for the top microphone for vocals and singing. Audio Technica makes fantastic top-of-the line gear. If you’re looking for that perfect singing at home microphone or planning on hitting a studio the AT 2035 is impossible to beat. It is definitely our top pick for 2016.